From the most Southerly Distillery in Scotland, this Bladnoch was bottled at 15 years old. A 15 year old expression from at the time would have been one of the smallest distilleries in Scotland. Operating with a production staff of just two, not surprisingly volumes distilled are small. This label features the black face sheep image from artist Jan Ferguson. 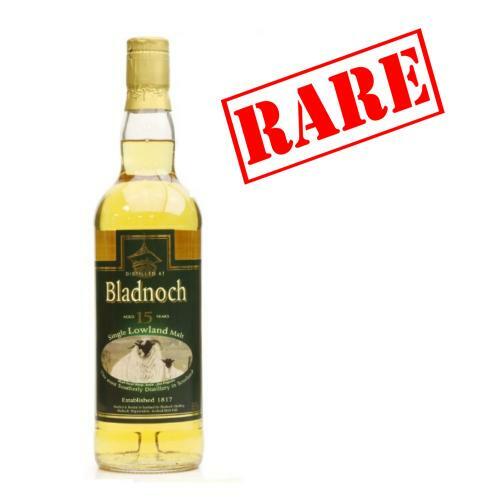 This particular bottle has been signed by John - Stillman at Bladnoch. Nose: Lovely rich Oloroso sherry aromas, raisins, a whiff of walnuts and toffee pudding with a hint of chocolate.